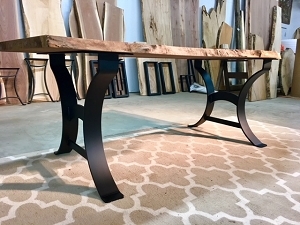 We are primarily a solid steel base and kiln dried live edge slab seller. 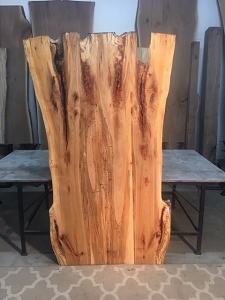 We supply raw material for contractors, interior designers, woodworkers (both hobby and professional), furniture makers, weekend enthusiasts, etc. 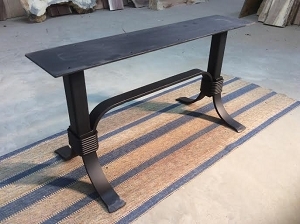 We'll do our best to provide material for any woodworking or furniture project. 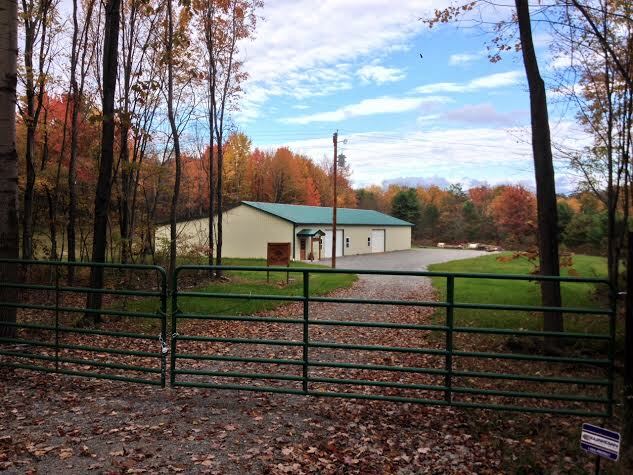 The OhioWoodLands/Coldwell Tree Farm facility. Below is a Profile In Conservation published by the United States Department of Agriculture - US Forest Service. 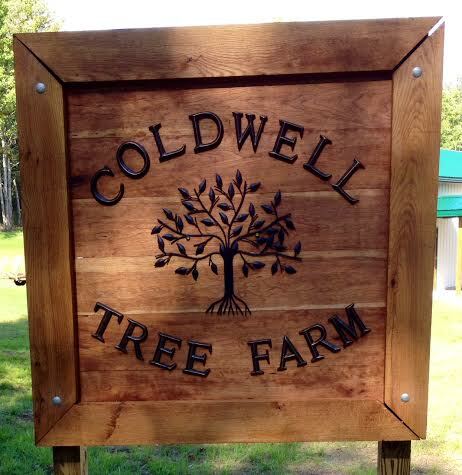 Coldwell Tree Farm - Ohio's 2014 Tree Farm of the Year. Below is a link to a blog from WoodMaster Tools, Inc. Posted on March 4, 2013. (will need to go several pages back to the older posts). Check out the July 2012 issue of WOOD Magazine (Better Homes and Gardens Publication). The issue references OhioWoodLands and working with Natural-Edge Slabs. The Coldwell Tree Farm is part of the ATFS, the American Tree Farm System, which is endorsed by the worlds largest forest certification organization, the Programme for the Endorsement of Forest Certification (PEFC). Our tree farm currently plants over 3,000 new trees each year. Our family began tree-farming in Ohio because we believe in sustainable forestry and correctly managing forests to be used for generations. After receiving a Bachelor of Science in Sustainable Forest Management from West Virginia University, I was driven to pursue sound forest management. With over ten years experience managing forestland as a consulting forester, I continue to be enthusiastic about my work. 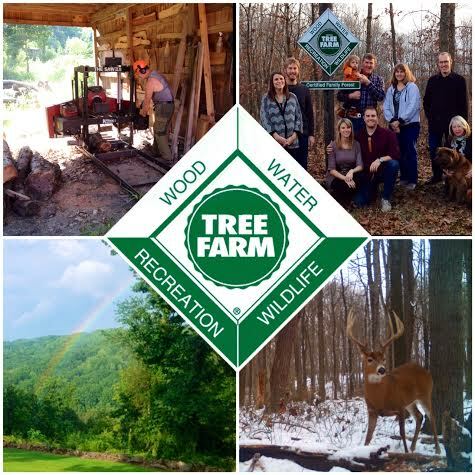 I now actively assist in managing my own certified tree farm as well as other private and publicly owned forestland. There is nothing more fulfilling than sawing into a log and seeing all the natural beauty and character that would otherwise be left to rot in the woods. 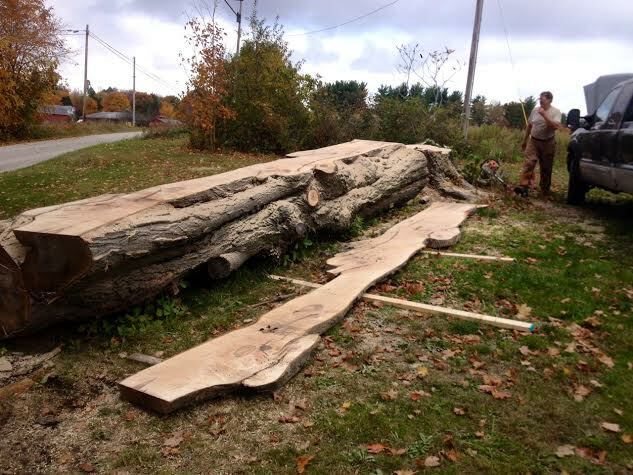 Fallen wind-blown, storm-damaged, diseased, and over-mature trees are taken to our sawmill and turned into one-of-a-kind, individualized wood-products, perfect for unique woodworking projects. I'm not looking for clear lumber, but for logs that are gnarled, figured, curly, or burly. Those full of character due to forces of nature, too many or too few nutrients, too much or too little sunlight, or those suffering from insect penetration or poor growing conditions. Natural and beautiful oddities are revealed in over-mature, storm-damaged and disease-ridden trees. 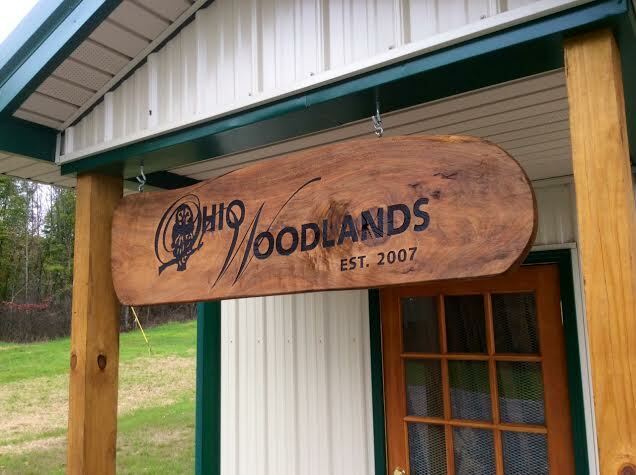 OhioWoodLands processes the cut wood by air or kiln drying, planing, and edging to ready the slabs for woodworking projects. 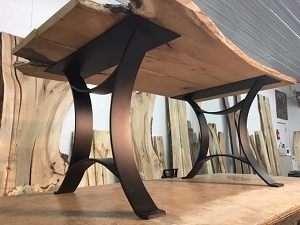 Unlike sawmills that square the lumber before milling, OhioWoodLands primarily cuts thicker slabs and slabs with live edges, striving to create a product that is truly one-of-a-kind. 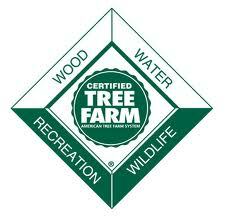 Below is a local award for Tree Farm Management. 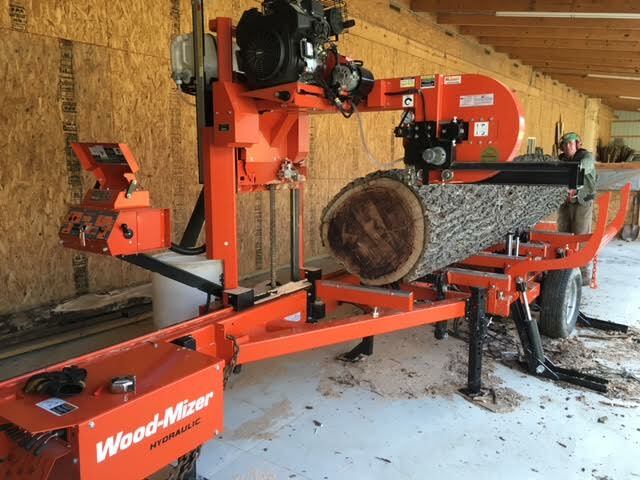 Wood-Mizer LT 40 Hydraulic Sawmill. 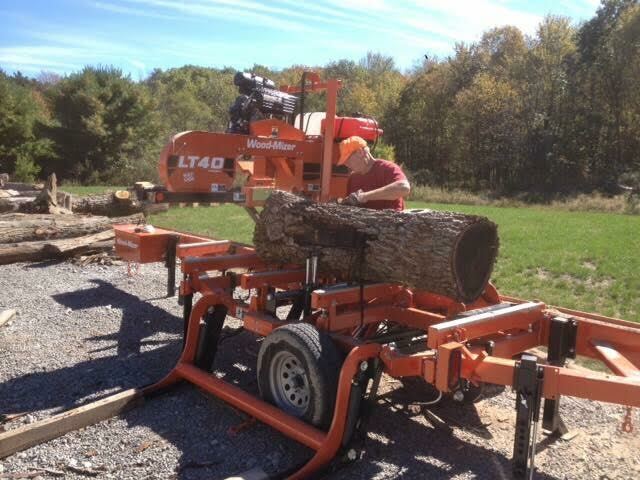 Dave Coldwell Slabbing some large logs with our Granberg Int. Alaskan MK-III Sawmill. If you have any questions or concerns please feel free to contact us anytime. Kitchen designs, bathroom designs, and more ?